A slightly different viewpoint at Circourt Bridge, Denchworth on 22 September 2014. This wider than normal view includes the trees on the site of the former trackside pond. 43098 passes by at very slow speed with the 1L51 10:55 Cardiff Central to Paddington First Great Western service. Unbelievably, 70014 had just been let down the main line right in front of it, rather than being diverted onto the relief line! 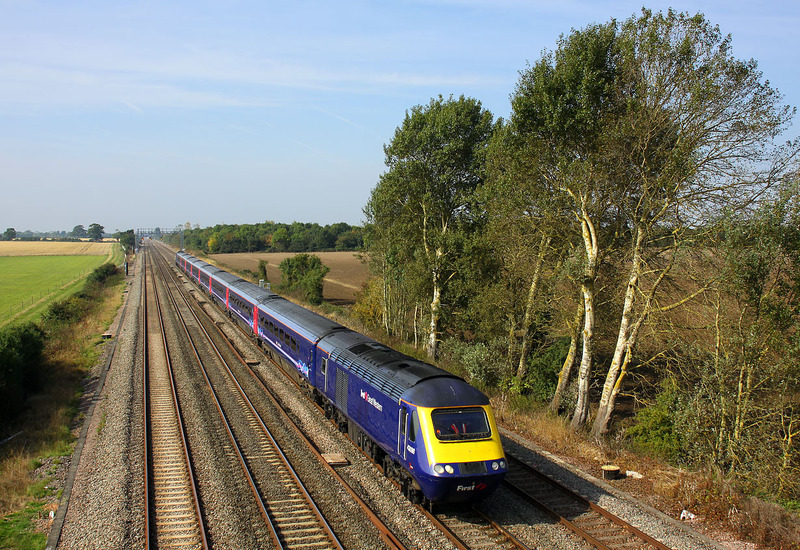 As taking pictures of a fast moving subject with a wide angle lens is tricky, this unexpected slow speed HST was very welcome!